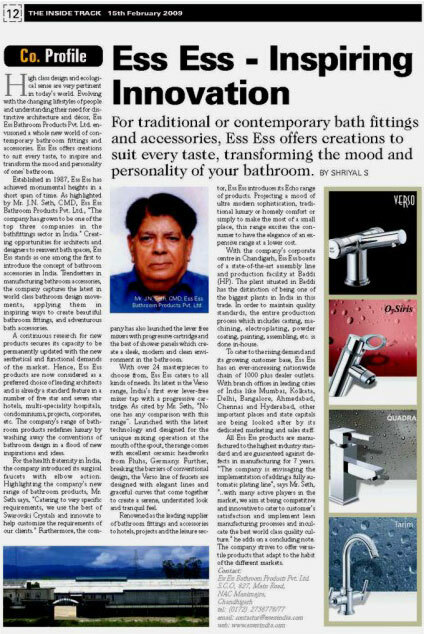 "ESS ESS" won the Assam Real Estate & Infrastructure Developers Association Choice AWARD 2007 as most preferred bath fittings during AREIDA GUWAHATI HOME FAIR' 07. © Copyright 2010 ESSESS INDIA PVT. LTD.